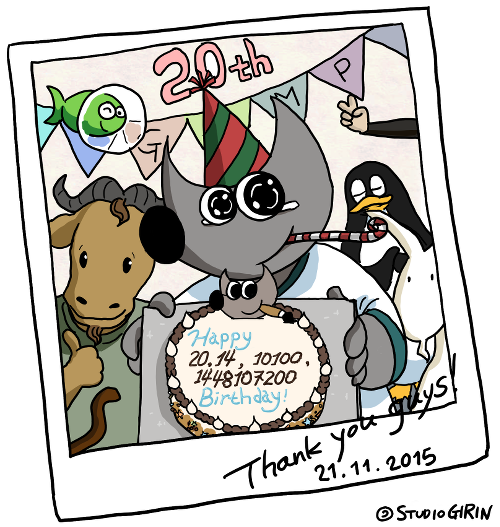 I want to congratulate the people behind GIMP on the 20th anniversary since the initial announcement of the project, they came a long way. Myself, I switched to it as my primarily image editor long ago, can't point the date precisely but it was around 12 years ago, back in the GIMP 1.x days, when it's UI was... less than optimal, to say the least. Then I went to use it more and more, even write tutorials, give presentations and such (I rarely do such things these days not because of lack of enthusiasm but because of lack of time). I do use GIMP on a daily basis and I earn my living based on it, but I should acknowledge this is a love-hate type of relation. On one hand, I like the power and degree of control it gives to me: it allows to get to the needed result in a predictable way. On the other hand, there are a couple of shortcomings which annoy me plenty and make me rely more and more on darktable for photography work, those are: slooooooooooow speed and poor noise removal in RAW import (which is done via the UFRaw plugin).